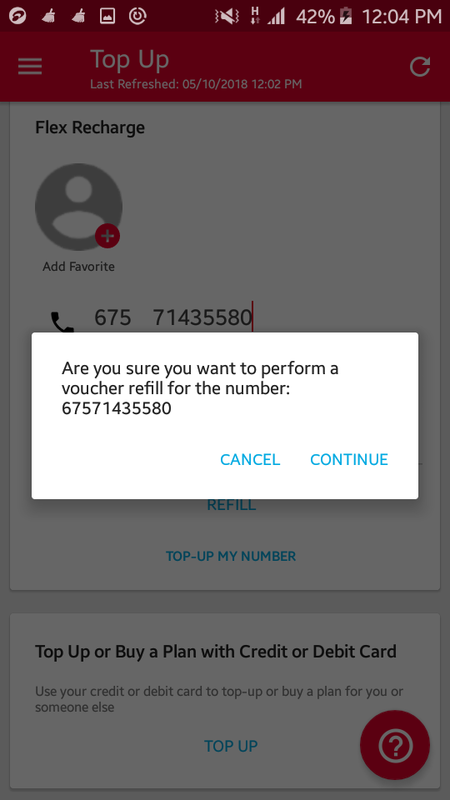 MyDigicel App gives you with a new value added feature where you can not only be able to do a top up to your number but also, to top up another mobile number as you would desire. Indeed, topping up another mobile number has not been available before. 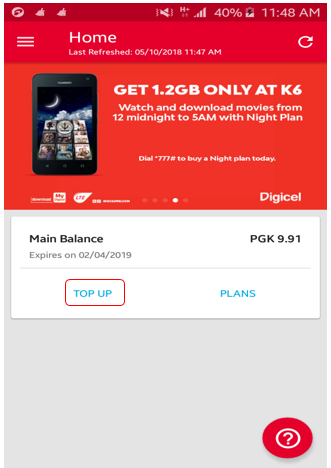 Instead of texting a voucher number over to a friend or family member or removing SIM cards of you Mifi / dongle and doing top up to it with the use of a phone , this great function on MyDigicel App will save you time and effort. Follow the basic steps below - its much more convenient! 1. Log on to your MyDigicel App account. On the display of the main menu as illustrated below, simply select "TOP - UP". Then select "TOP-UP ANOTHER NUMBER"
2. 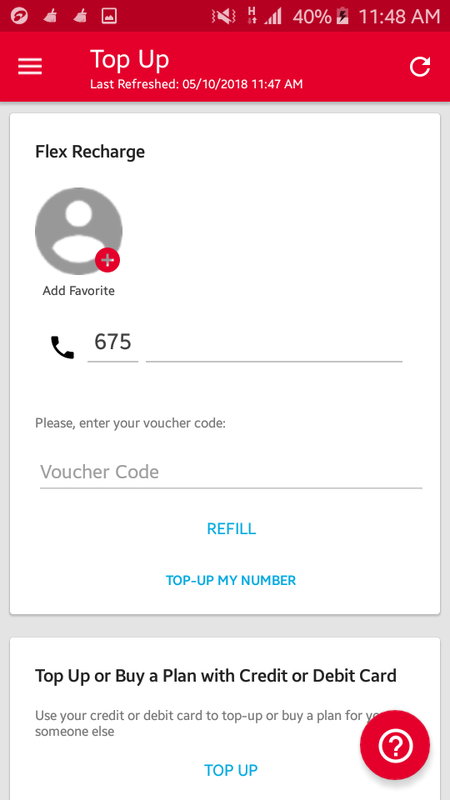 You will then be prompted to put the "Number for Top-up" with the "Voucher numbers" in the respective field as displayed below. 3. After entering the Number for top up and Voucher codes in their respective fields, you simply select "REFILL" . You will then be asked to confirm this transaction by selecting Yes if your are satisfied. 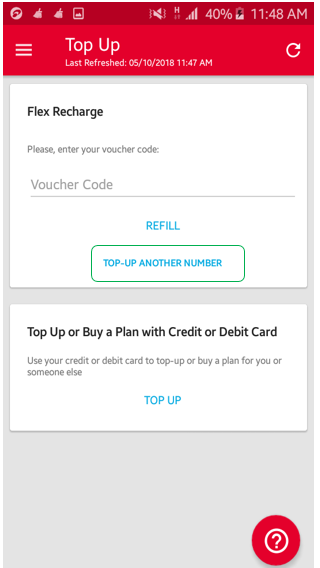 To cancel the top-up, simply select No as shown below. 4. After selecting continue, the top up will be successful and the notification pop-up will be as follows.